scan ubel blatt tome 12. The Justin Wilson cook book. The Ranch Dog Trainer Magazine December/january 1998: Beginning Basic Training. digital signal processing computer based approach sanjit k.. mitra.pdf third edition solution manual. 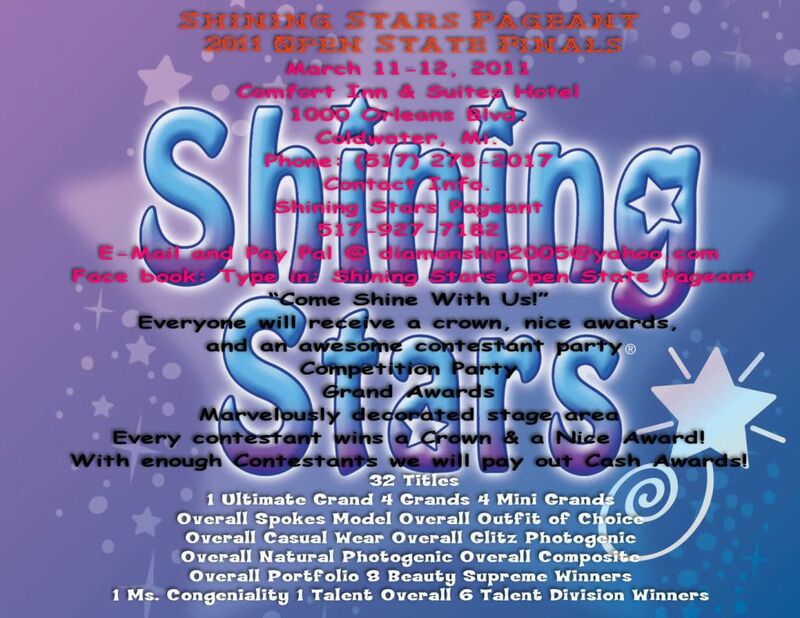 WIN A LIFE TIME ENTRY FEE/SUPREME PACKAGE TO SHINING STARS PAGEANTS!!! Would you like to compete at Shining Stars Pageants for the rest of your life for FREE??? And you will be entered in the drawing. The winner will be announced at crowning!! no matter where you place! This will be a pageant not to miss!! You can all make your room reservations quickly and easily online. Giving away Thousands in CASH and AWARDS!!! 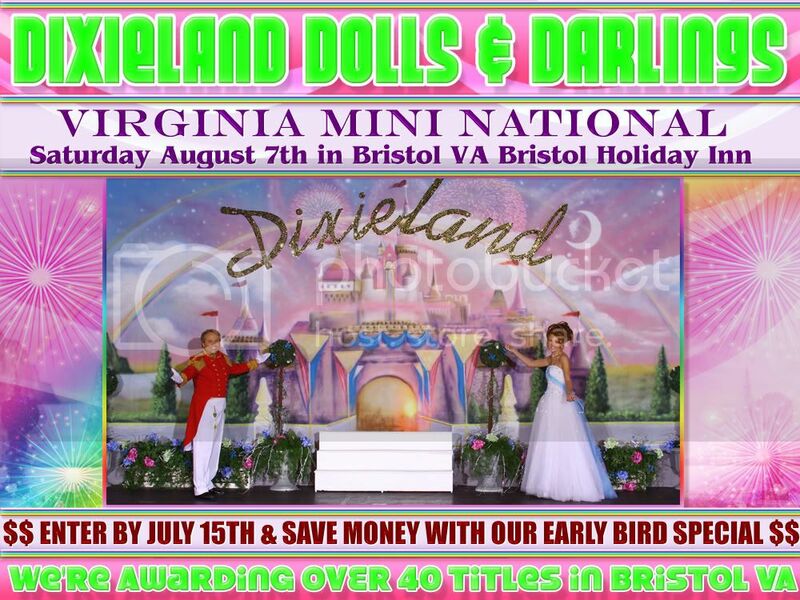 The Most Fun, Economical & Rewarding Christmas In July Pageant Around!!! Where else can you have this much fun?!?! This is a pageant for Everyone!!! We are looking for a Beautiful/Handsome Face and a Great Personality!! Have fun for FREE in a Water Park!! All contestants receive 2 Free Water Park Passes!! All contestants will ride in a Horse & Carriage Ride!! Every Contestant will receive a Gorgeous Crown, and Awesome Gift!! Enjoy Ice Cream at the 50�s Old Fashioned Ice Cream Parlor in the hotel! 1st contestant pays full price of $225.00, siblings pay � price of $225.00, Extra photos, Talent, and Overalls are at full price. Banner And Posting By: Home Of The $4 Banners! Miss Mary TKO ASST coach will be offering lessons on Friday night and ballroom assistance for her students. Early Bird Deadline Book your Shoot by Jan.15th and save $15.00 off ! Final deadline Feb. 1st !! Approx 15-20 images or more per look ! Book 3 Looks Receive a 4th Look FREE & Receive 20-25 images per look! Each looks will include Headshots, 3/4 Body Shots, and Full Body Shots !! Got props you want to use feel free to bring them NO extra Charge! All images come Fully edited on CD with print release rights for them to print as they wish! Christy will be booking slots on Friday evening as well as Saturday !! Early Bird Deadline Book your Shoot by Jan.15th and save $15.00 off ! Final deadline Feb. 1st !! Approx 15-20 images or more per look ! Book 3 Looks Receive a 4th Look FREE & Receive 20-25 images per look! Each looks will include Headshots, 3/4 Body Shots, and Full Body Shots !! Got props you want to use feel free to bring them NO extra Charge! All images come Fully edited on CD with print release rights for them to print as they wish! We will be booking slots on Friday evening as well as Saturday !! !! Amazing Angels Mini National !! No door entries, you must pre-register! Girls and Boys Divisions Combined: 2-3, 4-6, 7-9, 10-15, 16-up. Beauty, Outfit of Choice, Costume, Talent, Photogenic, Composite, and Portfolio. Deadline is July 30th - Time is running out! Join us for the Christmas Event of the Year! We award 5 National Grand Supremes! 0-2 Yrs., 3-4 Yrs., 5-8 Yrs., 9-12 Yrs. & 13-up! 3 National Titles in every age division! Click on the banner and check out our National Paperwork!! Don't miss our Early Bird Package Deal ----$695 for all events on the form! This special ends on July 30th, don't let it pass you by!!! 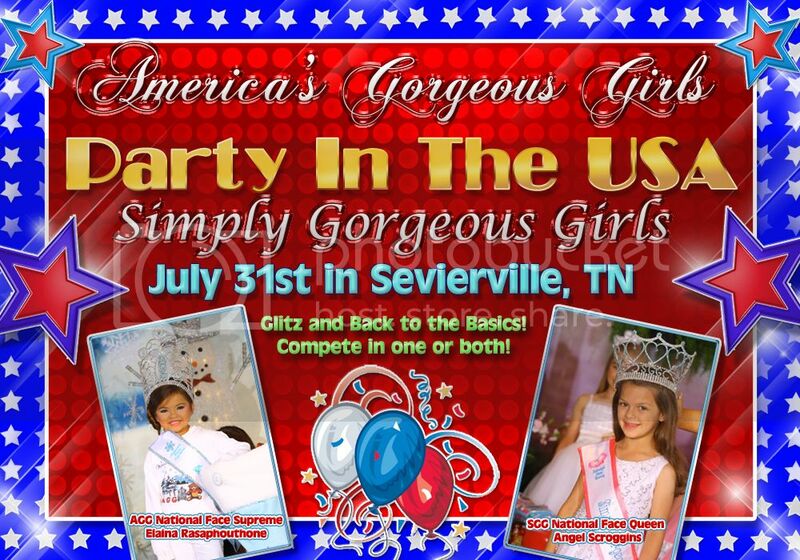 Party in the USA in Sevierville, TN!!! Come join us for a fun filled day of pageantry! Don't miss the July 15th deadline to save $$$$!! of your prelims and state pageants! Supreme Package Entry Fee $75! Now On Sale! Boys, Babies, Miss & Mrs. Divisions! Overall Photo & Overall Wow Wear In Your Breakup! 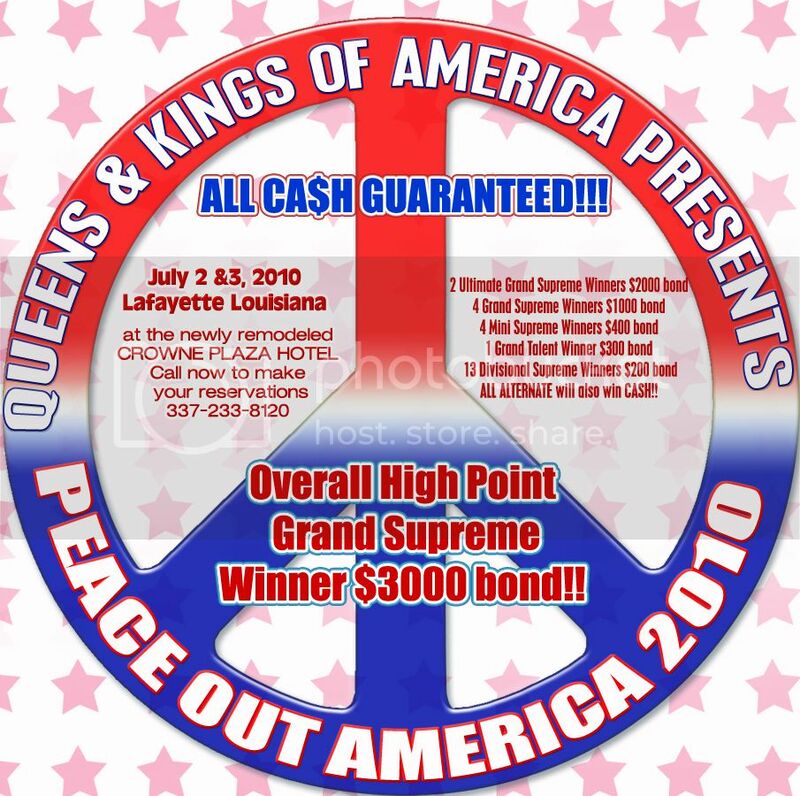 Look For More Of Our Banners Coming Up, or Join The Pageant Express Email: americasfinestkingsandqueens@yahoo.com. ABC 123 Back to School Pageant In August! Have A Fun, Safe & Happy Summer! WHO WILL WIN AN 8� ANGEL CROWN?! Don't forget to check out Amazing Angels State Finals in Grand Rapids, Mi. If you have a beautiful face and a great personality, this pageant is for you!! Everyone will walk away feeling like a winner as well as meeting new friends and having a great time at the pageant. Do you have a beautiful face and a great personality? If you answer Yes, then this pageant is for you!! 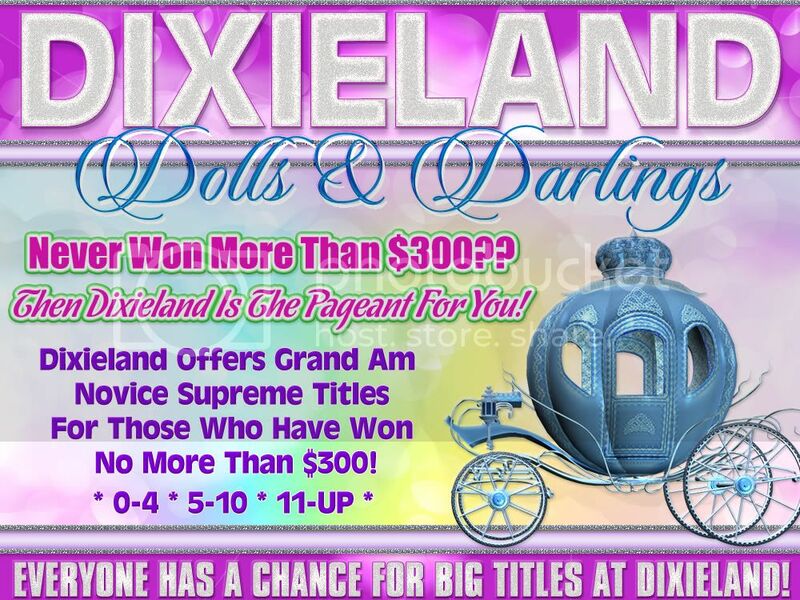 Every contestant will receive a crown/tiara/scepter and a nice gift no matter where they place in the pageant. Sibling discount: 1st contestant in family pays full price, additional family members pay � price of the package. Friday August 6, 4:00 p.m.-10:00 p.m.
Late Registration: Aug. 7, 7:00a.m.-8:00 a.m.
Pageant starts at 10:00 a.m.
Come win an Angel Crown and be one of our 1st Amazing Angels Royalty!! 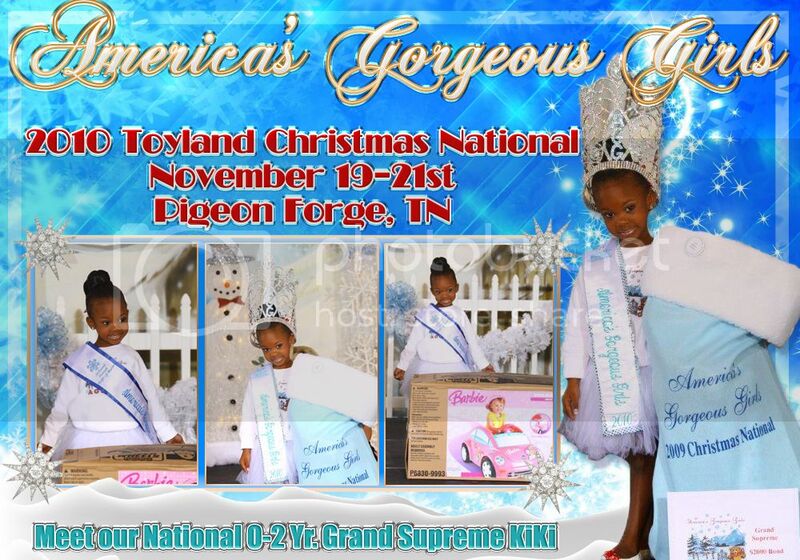 Overall High Point Grand Supreme Winner $3000 bond!! ALL ALTERNATE will also win CASH!! Join us July 15-18th in St.Petes Beach FL!!! 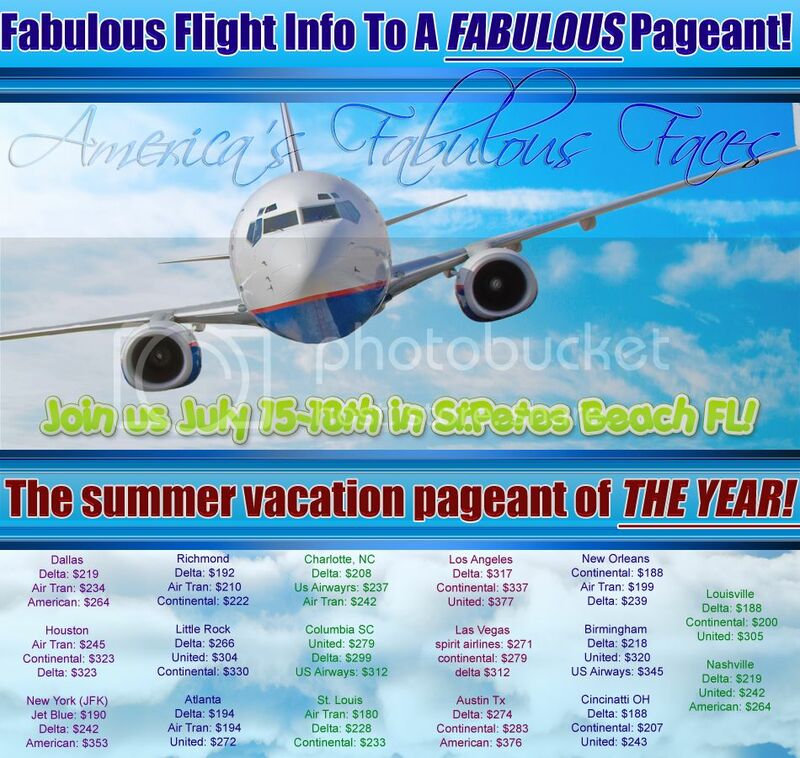 The Summer Vacation Pageant Of The YEAR! ** Amanda's Top Models ** Marilyn is a Top Model! Become a Top Model Today! 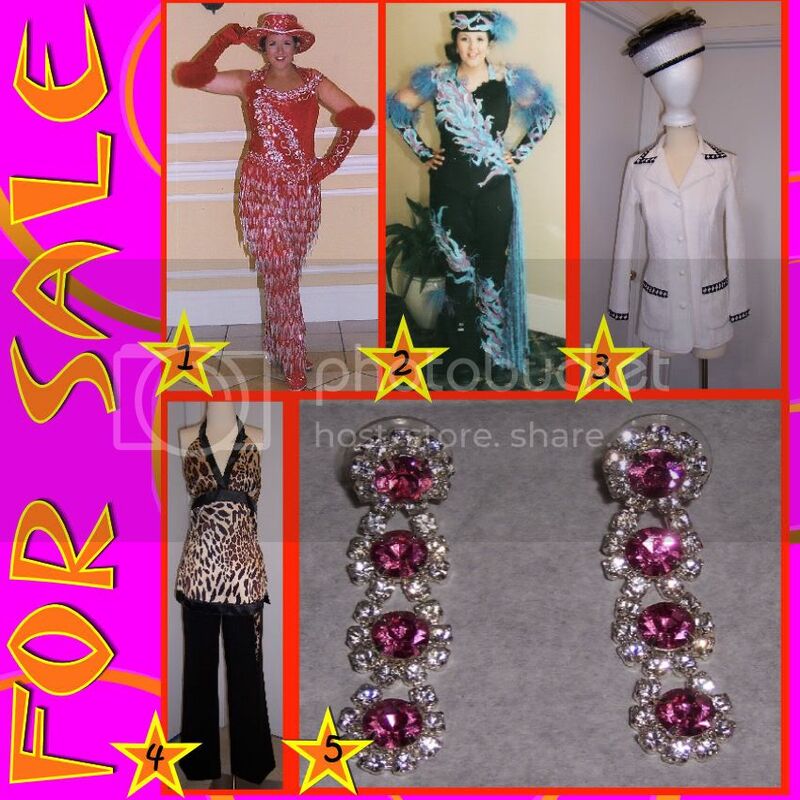 2 PAGEANTS FOR THE PRICE OF 1! Nothing added at the door! The first 5 entries will receive a nice gift! 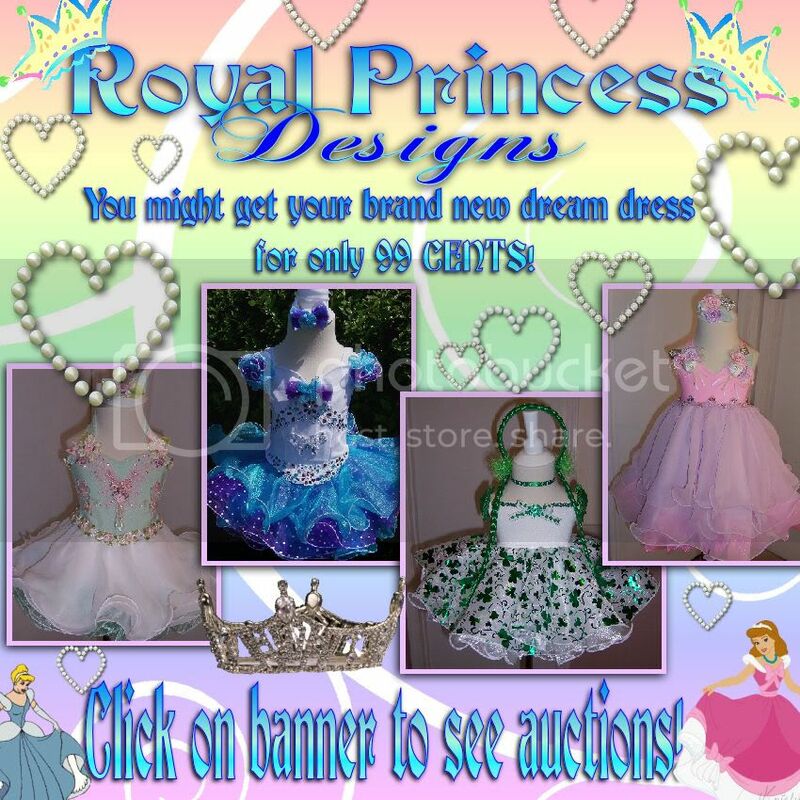 Beautiful Crowns, Custom Sashes, and Nice Gifts! ..:: SAVE THE DATE ::..
Fabulous Faces state pageant in your state!! Pageant, you are not eligible for this contest. That's right our Supreme Package is only $495....WOW!! SEND YOUR $250 DEPOSIT TODAY!! This will increase your chances of winning!